Deadline: January 8th - Extended! September 20th, 2004. The very first unforgettable episode of Lost was shown to the world. Two months later, in November 2004, this site was born. Over the next 10 years, the site has grown to include videos from all fandoms, and vidders from all over the world! To celebrate this LVI milestone, for this contest we want to see what Lost, and LVI, means to you! Did you love trying to figure out all the mysteries for yourself? Was it all the great AU stories and ships that you saw in videos, or that you made yourself? Or was it the characters themselves that made you love Lost? Show us in a vid! You can use footage from any or all episodes of Lost, cast interviews, behind the scenes clips, even other shows that Losties have been in! 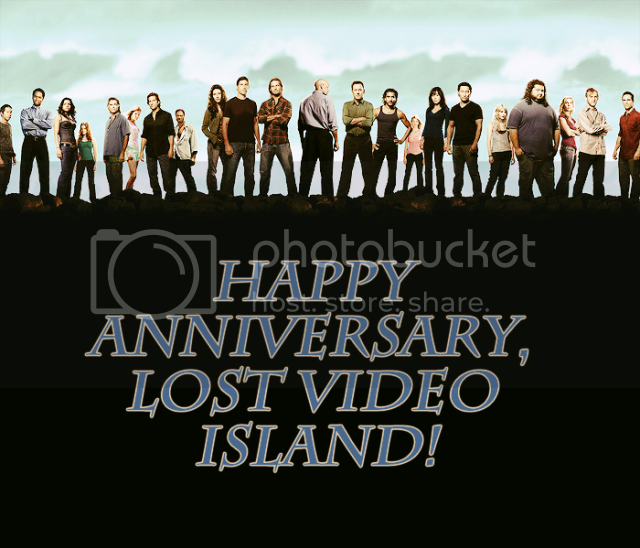 We're looking forward to seeing what Lost and Lost Video Island means to you! Have fun! � - Make a video about what Lost and LVI means to you. � - AUs and trailers are allowed, but no crossovers, please! We want to see a video about Lost. � - When entering your video on the Submit page, you MUST enter "November 2014 contest submission" exactly in your vid's description. We are more than halfway through the first month of this contest! Looking forward to some cool entries! I am actually considering doing this even though I haven't made a vid in forever and haven't made a lost vid in foreverx2. That would be awesome! I hope you are able to enter a vid. It looks like I will have some time on my hands at the end of the month. I have a song in mind... I just have to get some footage on my machine and do some research/reviewing in order to be able to pull it off. So so busy these days. But gosh darnit I am going to try! Yay! I hope you can make an entry for the contest, KC! I am nearly done with my vid, but I'm not sure I'll get it done by the end of the year. If I don't get it done before the end of the year, could I get an extension to about the 3rd? We'll go ahead and extend the contest to the 3rd. What I thought was just allergies has developed into a cold so I just haven't felt like viding these last few days. I'm sorry to hear that Macaila! I hope you feel better soon and that you're still able to make a vid for the contest. Is anyone else planning to enter the contest? We can extend a little bit longer if needed! I have a video that's 3/4 finished if I can have until the 8th it should be done. Sure, Becca! The new deadline is January 8th.